For a truly indulgent experience, turn your room into a spa oasis! Pamper yourself with a massage, unwind with a rejuvenating facial or melt away any lingering stress with one of our signature body treatments. 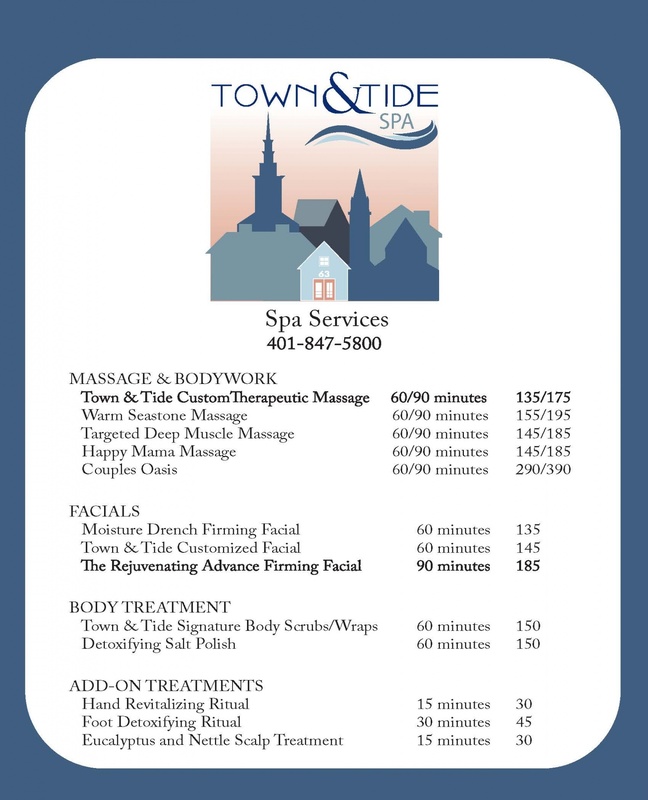 Each of our unique spa services are sure to heighten the luxury of your stay here at the Town & Tide Inn. The spa team can transform your room into a tranquil spa experience leaving you refreshed and revitalized throughout your entire vacation. The services below are available in the comfort of your room. Please note: prices do not include gratuity.